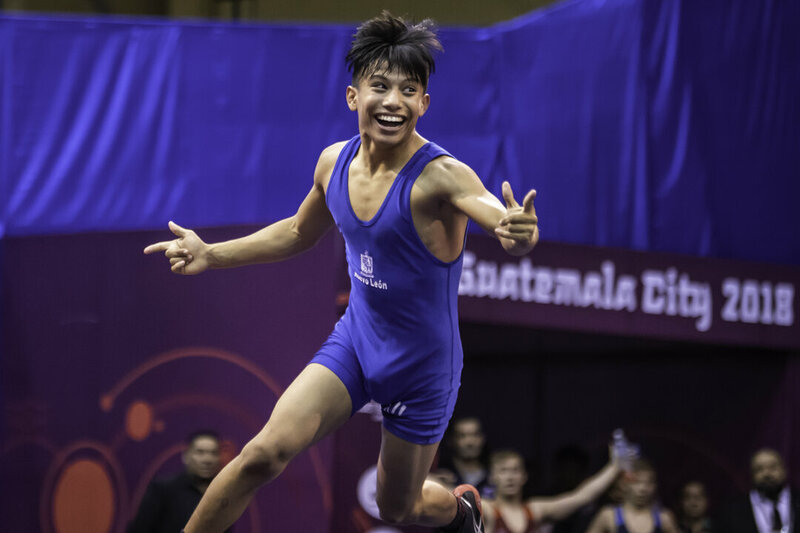 Reviewing the 2018 Cadet Pan-American C'ships and the updated list of Youth Olympic Games qualifiers. Also taking a look at next weeks 2018 U23 European Championships in Istanbul, Turkey. The United States of America capped off the final day of competition at the 2018 Pan-American Championships in Guatemala City, Guatemala with a 38-1 record and won nine of the possible ten gold medals. More importantly, the quartet of American gold medals at YOG weights helped the United States punch four tickets to the 2018 Buenos Aires Games in October. Mexico, who won the fifth and final gold medal also locked up their spot for the 2018 Games. Watch all freestyle matches from the 2018 Pan-American Championships. Mexico and the United States each had eight wrestlers vying for Greco-Roman gold medals at the 2018 Cadet Pan-American Championships. The winner of 45kg, 51kg, 60kg, 71kg, and 92kg qualified their nations spot for October’s Youth Olympic Games in Buenos Aires, Argentina. Although USA wrestlers won five gold medals, none of those came at a Youth Olympic weight class. Mexico nabbed three gold medals against American opponents, with all three wins coming in weight categories where there was a Youth Olympic Games spot up for grabs. Igor ALVES DE QUEIROZ (BRA) and Jeremy GONZALEZ (ECU) claimed the two remaining YOG spots. Watch all Greco-Roman Matches from the 2018 Pan-American Championships. The United States capped off their impressive run at a Cadet Pan-American Championship team title with six individual championships, which included four births to the 2018 Youth Olympic Games in Buenos Aires, Argentina later this year. Venezuela and Cuba grabbed a pair of spots to the YOG, while Brazil and Mexico each had a solo wrestler punch their ticket to Buenos Aires. 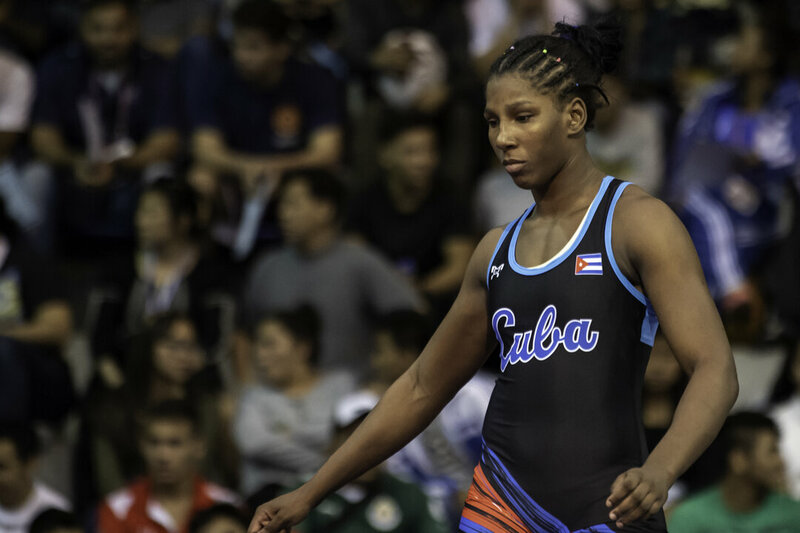 Watch all women’s wrestling Matches from the 2018 Pan-American Championships. 4. Youth Olympic Games Qualifiers After the Cadet Asian, European and Pan-American C'ships. The 2018 Youth Olympic Games will take place October 12-14 in Buenos Aires, Argentina. For qualification purposes, the highest placing athlete from the cadet continental championships will qualify their nations spot for the 2018 Games in both freestyle and Greco-Roman. In women's wrestling, the top two athletes from the cadet continental championships will qualify their nations spot for the Buenos Aires Games. The 2018 U23 European Championships kick off next Monday, June 4 in Istanbul, Turkey. Wrestlers between the ages of 19 and 23 years old will compete to qualify for the 2018 U23 World Championships which take place November 12-18 in Bucharest, Romania. 2. Watch as South Africa’s Madi MPHO tells the @unitednationshumanrights about her journey from orphan to adulthood and how wrestling educated her on having empathy. Incredible story. Feeling like I’m ready to come out of the darkness soon. I have a love/hate relationship with this part of the process. We push just past the point of breaking in the hopes we will become reborn, renewed, an evolution of who we once were. It’s magical. But it’s simultaneously physically, mentally, emotionally demanding. It’s why I love this sport. 5. Continuing series of wrestling "puzzles"? Продолжаем серию борцовских "головоломок"? Watch as South Africa’s Madi MPHO tells the @unitednationshumanrights about her journey from orphan to adulthood and how wrestling educated her on having empathy. Incredible story. Discussing the European C'ship results, this week's Pan-American C'ships, and next week's Asian's C'ships. Also looking at the newly released Tokyo 2020 Olympic Games wrestling schedule. 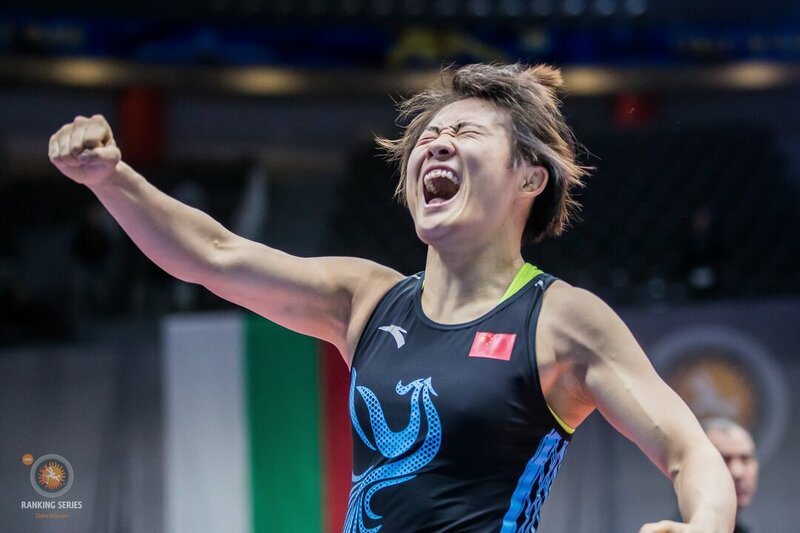 The 2019 European Championships wrapped up on Sunday night in Bucharest, Romania, and it was the Russian Federation who claimed team titles in both freestyle and Greco-Roman, while Ukraine won the women’s wrestling team trophy. In freestyle, The Russian Federation trailed Azerbaijan by five points heading into the final day of wrestling but closed out the freestyle competition with two golds, two silvers, and four bronze medals to win the team title six points ahead of second place Turkey. Azerbaijan (145 points), Georgia (104 points), and Ukraine (80 points) rounded out the top-five in freestyle. In Greco-Roman, the Russian Federation repeated as European champions, winning five individual gold medals and having nine of ten wrestlers reach the podium. Russia finished 60 points ahead of second-place Turkey. Azerbaijan (76 points), Germany (72 points), and Georgia (72 points) finished third through fifth respectively. In women’s wrestling, Ukraine, who had a solo bronze medalist and finished last year’s Kaspiisk European Championships in seventh place, capped off their improbable run to a European team title on the backs of four individual women’s wrestling championship performances. Bulgaria (112 points), Turkey (98 points), Azerbaijan (96 points), and Russia (89 points) were the other top-five finishers respectively. Click HERE for the full #WrestleBucharest event hub. Six Olympic medalists, including four Olympic champions, highlight the field at the 2019 Senior Pan American Championships in Buenos Aires, Argentina, April 18-21. Each style has at least one Olympic champion in the field. In women's wrestling, 2016 Olympic champion Erica WIEBE (CAN) will compete this week at 76kg, while Rio Greco-Roman Olympic champion and five-time Pan American champion Ismael BORRERO MOLINA (CUB) at 67kg. Click HERE for Taylor Miller's full Pan-American Championship preview. The Tokyo Organizing Committee of the Olympic and Paralympic Games (Tokyo 2020) has announced the detailed competition schedule for the sport of wrestling at the 2020 Olympic Games. The two-day competition format will feature women’s wrestling as the final gold medal bout on each day of competition. Japan is the most dominant women’s wrestling nation in the world having won 11 of 18 Olympic gold medals since 2004, the first year the sport was included on the Olympic programme. The island nation has also won 22 world team titles since the first women’s wrestling world championships in 1987, including 11 of the last 13. Greco-Roman will join women for the first half of the schedule, with freestyle set to wrap up the Games alongside the aforementioned women’s weight categories. Click HERE for Tim Foley's breakdown of the full Olympic schedule. Turkey’s Riza KAYAALP authored a new page in the Turkish wrestling history books on Saturday night by winning his ninth European title. Kayaalp entered the night tied with Hamza YERLIKAYA, who also had eight European titles, but surpassed Yerlikaya with his Day 6 win at the Polyvalent Hall in Bucharest, Romania. In his 130kg Greco-Roman gold-medal bout, Kayaalp scored three points from a stepout and a takedown to defeat Iakobi KAJAIA (GEO), 3-0. Moldova’s Victor Ciobanu and Denmark’s Rajbek Bisultanov reached the top of the European championship podium and made history for their countries on the closing day of the wrestling in Bucharest. In the 60kg Greco-Roman finals, Victor Ciobanu pulled off perhaps the biggest upset of these European Championships, defeating the defending world and European champion Sergey EMELIN (RUS), 5-5, on criteria, and became the first-ever Moldovan Greco-Roman European champion. In the 82kg Greco-Roman finals, Rajbek Bisultanov ended Denmark’s 93-year drought without a European gold medal, becoming the first wrestler from his nation to circle the mat with a Danish flag since Johannes JACOBSEN did so at the Riga European title in 1926. Bisultanov fell behind 1-0 to Georgia’s Lasha GOBADZE (GEO) but scored two exposure points and a takedown, ending the opening frame with a 4-1 lead. In the closing period, the Danish wrestler was dinged for a caution-and-two but held on to win 4-3. Xi’an's Electronic Science and Technology University Gymnasium will be the host site for this year's Asian Championships, which take place in Xi'an, China from March 23-28. In total, 19 returning medalists from last year's world championships will be in action. Women's wrestling leads the way with ten returning podium finishers. They'll have two champions, one silver, and seven returning bronze competing. Greco-Roman will have one returning finalist and five bronze medalists, while freestyle has a pair of 2018 runner-ups and two bronze-medal finishers taking the mat in China next week. All the action can be followed live on www.unitedworldwrestling.org. 1. Greco-Roman highlights from the European Championships 🔥😲 // Head over to our stories for the full video . .
Big Move(s) From Day 7 // #WrestleBucharest Лучшие броски седьмого дня! Big Move From Day 3 // #WrestleBucharest Лучший бросок третьего дня!